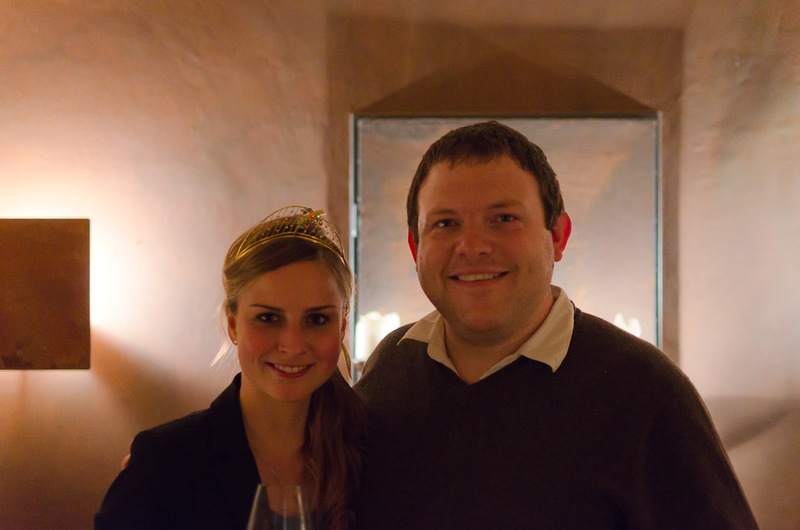 In Germany I was fortunate enough to meet not one but two reigning monarchs, the current wine queen of the Reinhessen, Helgard Frey, and the queen of all German wine, Annika Strebel (that’s her above, at her coronation). The very idea of a giving a nubile young woman a ball dress, a tiara and a title ending in “queen” seems weird, anachronistic, redolent of an era when Benny Hill chased buxom blondes on fast forward in the name of comedy and wrinkly Bruce Forsyth openly ogled pretty young co-presenters on peak-time television (hang on, that still happens). In England people often complain about “political correctness gone mad”, but with wine queens it’s surely a case of just political correctness gone. Still, Strebel seems pretty happy about it and she’s the one that counts. Germans, it seems, love a good wine queen. Some 300 of them (Germans, not queens) turned up last month to watch Frey, a student in business administration, take her regional crown. In a year’s time she’ll battle all of this year’s 13 regional wine queens for the chance to succeed Strebel. 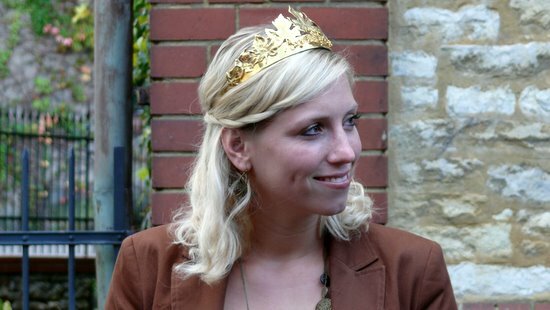 Candidates have to be over 18, female and unmarried – blonde hair is not absolutely essential, but it clearly helps – and are then chosen based on their knowledge of wine and of the area, their ability to speak English and on the content of a set-piece speech – Frey (that’s her below), in a move logically unlikely to wow a room full of wine snobs, spoke about matching riesling with Chicken McNuggets. The following weekend in Neustadt Strebel – who had previously served as Reinhessen’s wine queen – scooped the national crown from all the other regional sovereigns, as decided by an 80-strong jury culled from the worlds of politics, media, business and indeed wine, and watched by millions on live television. That’s right, live television. Her home town has already strung a banner across the main road proclaiming itself home of the wine queen. “As a sensualist,” the report on her coronation on the website of the German wine institute says, “Annika likes to collect wild herbs for the kitchen and grows her own pumpkins.” That’s right, pumpkins. I may mock, but Strebel will have the last laugh – probably while sitting in a first-class seat on her way to one of her all-expenses-paid ambassadorial outings to China, America, Columbia and any number of European countries. And she is a great deal more photogenic than me (as you can see – thanks, if that’s the right word, to Torsten from The Wine Rambler for the photo).